The Olsson Art Collection was started some 45 years ago by the Founders Ulla and Greger Olsson. Since then the children Henrik and Emma have also joined the collection and it is now a family run collection. The main art collection is centered around our “Core” artists, some 10 Latin-American artists who we have followed for many years, some of them almost since the start of the Collection. Over the years the collection has expanded and now consists of several other contemporary Latin-American art, international art, rare oriental and pictorial rugs, African masks, Pre-Colombian Art and ceramic art to name some. The Collection is located in a private large converted farm in the southern part of Sweden. The background story of the Collection can be found in the Book from the show “Contemporary Latin American Art” in Landskrona 2017, page 6, see under “Publications”. 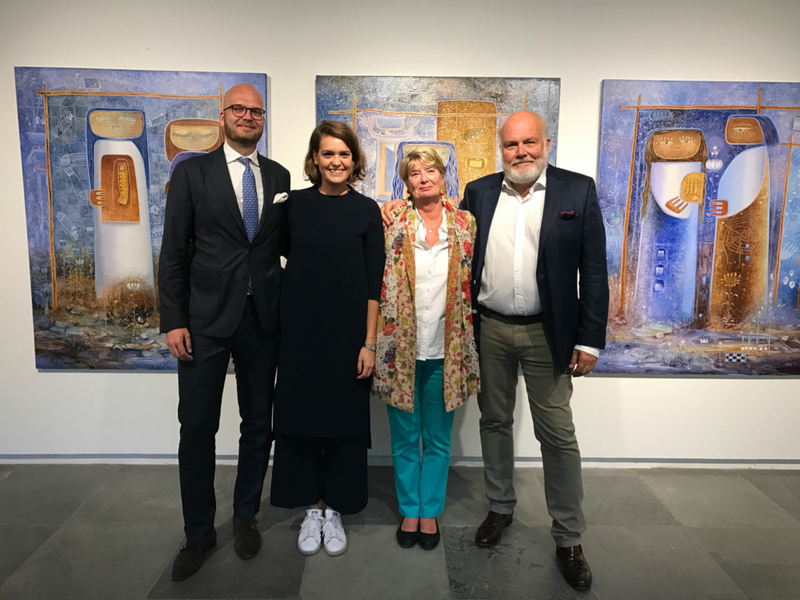 Here is the whole Olsson clan; Henrik, Emma, Ulla and Greger at the Show “Latin American Art from The Olsson Art Collection” that filled the Landskrona Konsthall in Landskrona, Sweden in summer 2017. The family is looking happy even if it is blocking out a favourite triptych painting by Argentinian master Raul Conti.